Dennis VanDerGinst was born in Moline, Illinois, in 1962. He received his law degree from DePaul University. He is licensed to practice law in Illinois, Iowa and the federal courts. In addition to his inclusion in the National Association of Distinguished Counsel, Dennis has been selected by his peers as a “Leading Lawyer” in the area of personal injury law. He has earned a 10/10 Superb Rating by the Avvo Legal Rating Service and has also been awarded the Client’s Choice Award from Avvo. He has also been selected as one of the top attorneys in the country by the “Best Attorneys Network“, which considers the votes of other attorneys, as well as clients. He has earned the distinction of induction into Who’s Who in American Law for most of his career, and is a Life Member of the National Registry Of Who’s Who. His tremendous success is also illustrated by his membership in the Multi-Million Dollar Advocates Forum, which is limited to those attorneys who have secured million dollar and mutli-million dollar verdicts and settlements. Mr. VanDerGinst has been very active in several county, state and national bar associations. 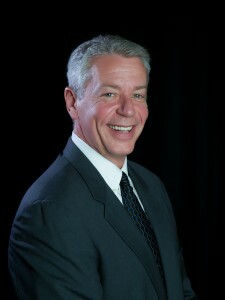 He has served on the Board of Managers for the Illinois Trial Lawyers Association. and on the Board of Advocates for the American Association for Justice. In addition, he has served on the Board of Trustees for the Pound Civil Justice Institute. Dennis is the managing partner of VanDerGinst Law, one of the most prominent personal injury firm in Eastern Iowa/Western Illinois. His accomplishments in the field of law are numerous and varied. Outside of the office, he is active in a number of community organizations. He is a frequent guest speaker at local, state and national seminars and conventions. Mr. VanDerGinst practices primarily in the areas of personal injury litigation, product liability, medical malpractice and mass torts.